I need more space for my customer's shipping addresses, a lot of the time they are getting cut off and I don't get the city, state, zip..
Theoretically, text box fields do not have a limit. May I ask in which particular form entry is the address data cut off? Is it possible that your users simply forgot to enter the missing data?If that that's the case, then I'd suggest replacing that address text box field with an actual address field so you can capture all address information with ease and in a structured format. You can also set it as required so your users will not forget filling them up. 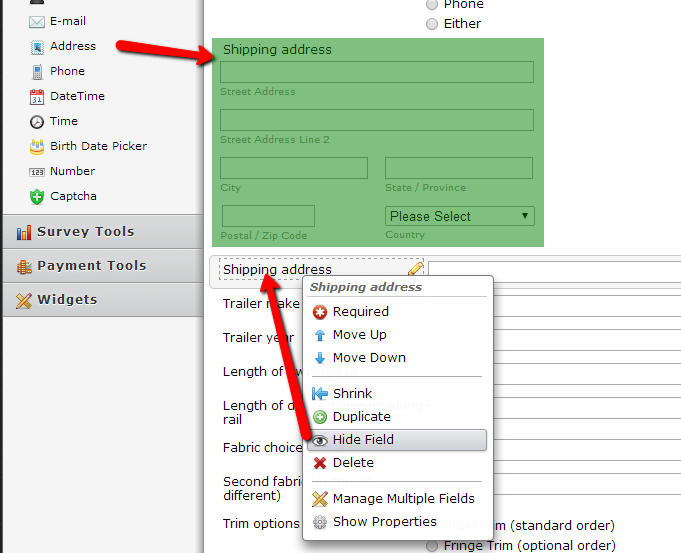 Note: If you delete a field from your form, the corresponding data (for that field) will be deleted as well. If you would like to preserve the data, hide the old field instead after adding the new field.